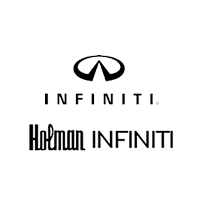 Holman INFINITI, a prominent NJ INFINITI dealer, also serves customers throughout the Philadelphia area. Our award-winning dealership is conveniently located on Route 38 in Maple Shade, NJ, and welcomes customers from Philadelphia, Cherry Hill, Maple Shade, Mount Laurel, Marlton, Medford, Voorhees, Moorestown, Haddonfield and everywhere in between. The goal of our family owned and operated NJ INFINITI dealer is to provide you with the INFINITI Total Ownership Experience®. This means that we go beyond just selling you a vehicle – we deliver personalized service and professionalism whether you’re browsing models or bringing your INFINITI in for an oil change. Whether you’re located in New Jersey or Philadelphia, INFINITI dealer in NJ Holman INFINITI, is here to serve you. Learn more about our team and how we can help you find the INFINITI in NJ you’ve always wanted. Meet the Staff – From our highly trained mechanics to accommodating finance specialists, the team at Holman INFINITI in NJ is here to assist you in selecting and maintaining a new or Certified Pre-Owned INFINITI. Find out more. In Our Community – Each year Holman Automotive supports many non-profit organizations in our community. We’re committed to helping make the entire Cherry Hill and Philadelphia metro area a positive place for all people. Find out more. Click to contact us or call (855) 754-7252 to see how easy it is to do business with Holman INFINITI in NJ.